The International Federation of Surveyors (FIG) is a UN non-governmental organisation which represents the interests of surveyors throughout the world. The primary work of the Federation is progressed through its technical/professional commissions, each of which is concerned with a different aspect of the work of the surveyor. This publication was initially developed within Commission 2 which is concerned with all aspects of professional education; although the main conclusions were subsequently discussed and endorsed by all members of the Federation. A central element of the work of the Federation relates to the enhancement of standards of professional competence. To achieve this objective FIG encourages the dissemination of best practice in both professional and educational matters. This publication is critical to this process and provides members of the Federation and others with information about the development of Continuing Professional Development (CPD). CPD is a key method by which individual members of the surveying profession can maintain and develop their skill base and so ensure that they are able to provide the most appropriate technical or professional solution to problems. This publication is a timely and welcome addition to the FIG series and demonstrates how the combined experience of several member associations can aid the development of this concept on a wider scale. There can be few surveyors who have been unaffected by the rapid pace of change which has influenced the surveying profession over the past decade. Professionalism relies increasingly on an ability to respond quickly to changing market conditions, to client requirements and to the influences of government policies. We are all being encouraged to love change and foster innovation. To adapt to these changes demands new skills. No longer can ‘keeping up to date’ be optional: it is increasingly central to professional and organisational success. The response of the surveying and many other professions to this challenge has been to promote the concept of Continuing Professional Development (CPD). This publication outlines the response of the International Federation of Surveyors to this issue. It is aimed at several audiences. First, it aims to assist those member associations who are considering the introduction of CPD by providing evidence of best practice from across the world. Secondly, it is designed to inform other international and national professional bodies about the progress being made in this area by the surveying profession. Finally, the publication aims to inform the clients of surveyors about how the surveying community is responding to the need to maintain its professional competence in an increasingly complex and fast changing professional environment. The importance of the concept of continuous lifelong learning has been reflected by the professions in the growth of CPD. A number of different terms are used to describe the generic activity of maintaining and improving professional competence. These range from Continuing Education (CE), Continuing Education and Training (CET), Continuing Professional Education (CPE), Continuing Vocational Training (CVT) to Post Qualification Development (PQD). Increasingly, however, the term Continuing Professional Development (CPD) is becoming accepted as the preferred term and is widely used within the surveying, construction and property related professions to describe the process of ‘keeping up to date’. The definition of what constitutes CE, CET, CPD, etc. varies across the professions. However, some degree of consensus has been reached. For example, in the UK the following definition is now accepted by the surveying profession (RICS). CPD is ...... ‘the systematic maintenance, improvement and broadening of knowledge and skills and the development of personal qualities necessary for the execution of professional and technical duties throughout the practitioner’s working life’. In a similar way the Insitutions of Surveyors, Australia has defined CPD as ‘the process by which a professional person maintains the quality and relevance of professional services throughout his/her working life’. (i) Continuous - ‘throughout the practitioner’s working life’. (ii) Professionally/Organisationally focused - ‘necessary for the execution of professional and technical duties’ and related to ‘maintaining the quality and relevance of professional services’. (iii) Broad Based - ‘knowledge and skills and the development of personal qualities’. (iv) Structured - ‘systematic maintenance, improvement and broadening’. Distance and open learning (including computer based training). The use of problem oriented approaches to learning including action learning and self managed learning. Membership of committees within nominated professional institutions. For all of these activities it is possible to specify a time limit to their execution. They can therefore be considered as discrete learning activities with defined start and end points. CPD must also, however, embrace the continuous nature of professional learning. Whilst not normally formally included within the requirements for CPD, the informal continuous learning which takes place within organisations should not be overlooked. 2.2. Why is CPD important? Competence It has been estimated that the knowledge gained in a vocational degree course has an average useful life span of about four years. While this will vary according to the discipline, it does nevertheless highlight the increasing need to maintain an active interest in keeping up to date with changing technology, legislation and operational procedures. It has been estimated that the knowledge gained in a vocational degree course has an average useful life span of about four years. While this will vary according to the discipline, it does nevertheless highlight the increasing need to maintain an active interest in keeping up to date with changing technology, legislation and operational procedures. If at the same time professionals have expectations of increased managerial responsibility, the need to acquire new skills and knowledge is even more acute. Consumerism The development of a more affluent consumer society has also resulted in a better informed and more sophisticated public. One consequence of this trend is that they expect a higher duty of care and level of service from their professional advisors than in the past. Again the skills acquired during an initial training period or during higher/further education may not equip new staff for this role. The development of a more affluent consumer society has also resulted in a better informed and more sophisticated public. One consequence of this trend is that they expect a higher duty of care and level of service from their professional advisors than in the past. Again the skills acquired during an initial training period or during higher/further education may not equip new staff for this role. Litigation The professions are increasingly at much higher risk from claims of negligence than in the past. Professional indemnity (PI) insurance premiums have risen considerably in recent years. CPD may not totally eliminate PI claims; however, if sceptics are worried by the costs of CPD such claims may help emphasise the potential costs of ignorance! Some evidence is also emerging that insurance companies may be willing to reduce slightly PI premiums if a structured CPD programme is available to staff. The professions are increasingly at much higher risk from claims of negligence than in the past. Professional indemnity (PI) insurance premiums have risen considerably in recent years. CPD may not totally eliminate PI claims; however, if sceptics are worried by the costs of CPD such claims may help emphasise the potential costs of ignorance! Some evidence is also emerging that insurance companies may be willing to reduce slightly PI premiums if a structured CPD programme is available to staff. Standards One of the primary roles of professional bodies is to safeguard standards of competence. CPD has a key role to play in the communication of agreed standards and in ensuring that members comply with specified procedures. One of the primary roles of professional bodies is to safeguard standards of competence. CPD has a key role to play in the communication of agreed standards and in ensuring that members comply with specified procedures. Quality Assurance The increasingly emphasis in quality management systems and the ethos of continuous improvement has also increased the relevance of CPD. Training and education are key elements of the QA/TQM process. The increasingly emphasis in quality management systems and the ethos of continuous improvement has also increased the relevance of CPD. Training and education are key elements of the QA/TQM process. Competitiveness The current recession has re-emphasised the highly competitive nature of modern business. Whether in the private or the increasingly privatised public/state sector, the competitive market edge must be partly or totally focused on client care/service quality or technological innovation. All of these responses demand a high investment in developing people skills if they are to be effective. The current recession has re-emphasised the highly competitive nature of modern business. Whether in the private or the increasingly privatised public/state sector, the competitive market edge must be partly or totally focused on client care/service quality or technological innovation. All of these responses demand a high investment in developing people skills if they are to be effective. 3. WHAT IS EFFECTIVE CPD? A number of basic features can be identified which characterise an effective CPD strategy. 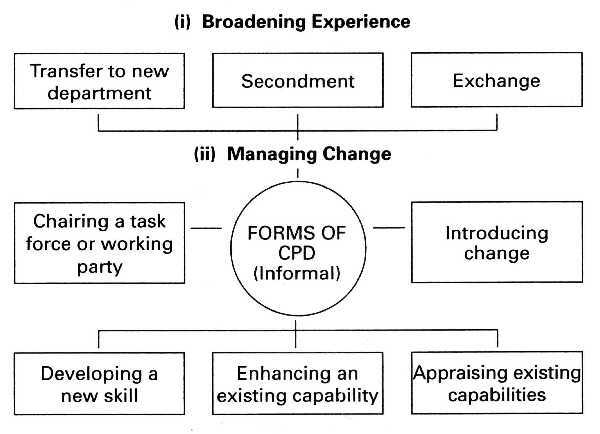 One useful framework developed by Ashridge Management College (Willie, 1991) distinguishes between the fragmented approach and a more focused approach towards CPD. - viewed as a reward for good performance. If this perception of training (and CPD) is viewed as the lowest point on the scale, the Ashridge researchers offer three increasingly more sophisticated perceptions of training (and CPD). These are referred to respectively as the Formalized, Focused and Fully Integrated views. A summary of this new perception of effective training (and CPD) would include the following characteristics. - flexible in application including open, distance and self-development approaches. The changes in the perception of training (and CPD) as outlined in these two contrasting views are not dissimilar to the current state of development of CPD within the surveying profession. The fragmented view is widely held and may help explain the current pre-occupation in many countries with measuring compliance with CPD and the need to demonstrate attendance at specific training events rather than being concerned with improved performance and increased organisational success which is the essence of the second view of CPD. The challenge for the profession in relation to CPD is to encourage the second approach. The strategy must therefore address the means by which these changes in emphasis will occur. The current emphasis in CPD on ‘compliance monitoring’ and measures in input (ie not in hours), whilst important, may not fully emphasise the importance of performance improvement as the output of the process. To illustrate the point Figure 3 indicates the relationship between CPD and the four stages in the development of competence from an unconscious level of ‘incompetence’, ie when one is unaware of a need for improvement through the stages of conscious incompetence (ie I am now aware of the problem), to being consciously competent (ie I am now capable, with conscious effort, of performing this task) to being unconsciously capable of performing this task (ie I am able to operate at this level without conscious effort). (ii) the application of the CPD (normally in the form of attendance at a training course) is not applied to the work environment in a planned and structured manner. As a consequence CPD will, rightly, not fulfil a real need and will become viewed (as it is by many) as an interesting but unnecessary element of professional life. (i) The development of review processes (eg performance appraisal/career planning reviews) as part of CPD and the development of competence models for typical career stages. (ii) The widening of ‘Structured CPD’ to include ‘structured development’ opportunities in addition to ‘ structured training’. 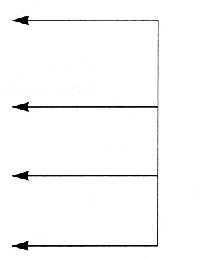 The distinction is illustrated by the formal and more informal modes of learning, which are illustrated by Figure 1 and Figure 2 above. (iii) A clearer assessment of the objectives of CPD and the professional/personal need to which the CPD is related and the manner in which CPD will be evaluated. The following are some preliminary thoughts which may be used as a basis for developing a more structured strategy based on the preceding analysis. (iii) a system for recording career and professional development (sometimes referred to as a Personal Development Plan (PDP)). Apart from the consequential benefits to CPD these tools are also increasingly important for organisational development and growth. The benefit of emphasising the use of PDPs, for example, will help to encourage the planning of CPD in addition to the recording of the process. To emphasise further the benefits of CPD it is considered important that work is expended on the production of structured training programmes ideally leading to post-graduate/post-experience qualifications. A number of such initiatives already exist. However, it is felt that additional work needs to be undertaken to provide further links between discrete CPD training events and potential qualification structures - at national as well as at international level. The provision of such linkages will also help provide further focus to CPD activities. Simply performing an existing role efficiently is clearly not appropriate for CPD purposes. What could be effective CPD is the production of a structured learning plan which leads to demonstrably improved performance to apply a new skill or utilise new knowledge. This plan may or may not involve formal ‘training’, eg the conventional CPD events. It may, however, involve the provision of evidence based on experience in professional life. To be suitable as CPD evidence this learning would require to be presented in a structured format, possibly based on the concept of a learning contract as outlined overleaf. (i) Where have I been (in relation to this CPD need), ie what is my previous knowledge base and/or experience? (ii) Where am I now? (what are my current strengths and weaknesses in relation to the need identified? (iii) Where do I want to be (what level of skill/knowledge do I want to obtain)? (iv) How will I get there (what learning plan/strategy will I adopt)? (v) How will I know when I get there (what evidence could I provide to illustrate improved performance)? Thus practitioners may bring forward evidence based on this concept in part fulfilment of their CPD requirement. The implementation of this more structured approach to learning can also be integrated with the concept of personal development plans (PDPs) as outlined in the CPD in Practice section from the UK. The same concept could be used to improve the existing arrangements relating to ‘structured reading’ and other forms of more informal learning. The growth and complexity of organisations, the demands from client and the pace of change all require that surveyors possess a wider range of skills than in the past. Central to the success of the profession across the world will be the capability of surveyors to demonstrate enhanced managerial and leadership skills in addition to specialist technical/professional knowledge. Some of the key management themes relevant to the surveying profession in the current decade have been outlined in Kennie (1993) and the case for leadership training, in particular in Kennie and Gardiner (1988). Professional success demands that such capabilities are not separate from professional expertise but viewed as complementary, growing in significance as a surveyor’s career progresses. Figure 4 illustrates some of the key characteristics of management development. (a) Almost half the associations who responded have a FORMAL policy towards CPD. (b) Whilst at present a minority of associations have FORMAL guidelines (28% of all member associations), all who responded were either considering developing formal guidelines or, at the very least, encouraged members by informal methods. (c) Of those associations who have a FORMAL policy towards CPD, only four have adopted a mandatory policy. The majority encourage members to participate in CPD and adopt a voluntary approach. It is clear that the majority of associations not only favour CPD but are actively involved in its promotion. To take an active part in promoting CPD the following policy statement was adopted by the General Assembly of FIG in Melbourne in 1994. The International Federation of Surveyors (FIG) believes that a commitment to CPD is essential to the work of the professional surveyor, throughout his/her working life. FIG, through its member associations, will provide support and guidance to surveyors seeking to extend their knowledge, skills and experience. ensure CPD activities are concerned primarily with the production of enhanced performance (output) rather than being predominantly concerned with the level of CPD input. All surveyors need to adapt to the rapidly changing environment within which they work. CPD, with its emphasis on reviewing personal capabilities and developing structured action plans to develop existing and new skills, is becoming increasingly important. The processes outlined in this publication, together with the case studies of CPD in Practice, provide a starting point for member associations and individual surveyors to review and potentially enhance their existing approaches to continuing professional development. The following case studies of 'CPD in Practice' provide a representative sample of how a number of different countries and organisations have developed CPD. The example from the UK provides details of how a mandatory approach CPD is progressing together with the development of more sophisticated Personal Development Plans (PDPs), to help individuals plan their approach to CPD. The second case study, from Denmark, outlines how this member association has recently adopted and introduced a voluntary approach to CPD. In contrast, case study three from Sweden offers some insights into the approach adopted by a national mapping agency and the links between CPD and 'development conversations', a form of performance appraisal. The final two case studies, from the USA and Australia, provide guidance on the promotion of CPD in a federal system. (c) increased publicity and visibility for CPD. (i) Evidence from a number of recent surveys indicated that CPD was viewed by the membership as a process involving "measuring hours of activity". The emphasis appeared to be on clocking hours and "the need for a positive desire or need to learn, develop update or increase proficiency" was considered to be lacking to a significant degree. The emphasis was primarily on ‘input’ measurement, not ‘output’. (ii) The increasing pace of change in the profession and the impact of the current recession. Both highlighted the need for practitioners to have a broader range of professional transferable skills to meet the needs of the marketplace and prosper in the highly competitive world in which they were now operating. (iii) The perception among some members that CPD was primarily focused on the needs of medium/larger practices who were thought to be able to provide in-house training. It was therefore perceived to be more difficult for the sole practitioner or small partnership to support. (iv) The growing importance of first, Quality Assurance (QA) with its emphasis on training and, secondly, the increased cost of professional indemnity insurance. (v) The perceived need from members for guidance from the Institution on methods of ensuring quality CPD provision. To provide a new focus a discussion paper on the future policy and strategy for CPD was published by the RICS in 1993. It was based on the development of a number of new initiatives which aimed to help practitioners reassess their existing approach to CPD and redress some of the deficiencies identified by the market research. (a) An increased emphasis on the output from CPD (ie increased performance) in contrast to the previous focus on the input to CPD (ie number of hours). (b) The continued development of structured modular training courses which may lead to post-graduate qualifications (based on a Credit Accumulation and Transfer Scheme (CATS)). (c) The production of guidelines to recognise ‘structured development’ as an integral part of CPD. (d) The need to assist practitioners in the diagnosis of their CPD needs by the use of performance appraisal or competence models which indicate the transferable skills appropriate to Chartered Surveyors at a range of career stages. (e) The need to encourage the use of Personal Development Plans (PDPs) to plan CPD activities, as opposed to solely recording CPD compliance. (f) The need to encourage practitioners to view CPD in its broadest sense and, in particular, to emphasise the growing need for Continuing Management Development (CMD) to enhance the surveyors skill base in business. (g) The need to change the guidance to practitioners on the assessment of CPD needs and the evaluation of the CPD investment. (h) The need to recognise good practice in the wider training field including national initiatives such as ‘Investors in People’ and to communicate such practice within the wider membership. The current policy on CPD within the surveying profession in Denmark was recently adopted. However, the concept of CPD is not new. The need for updating of professional skills has been formally recognised for many years. What is new is the recognition of the need for structured CPD and the need for documented professional competence. The Danish policy on CPD is based on the UK approach although it differs in that the requirement for CPD activities is not mandatory. Instead, a voluntary approach was considered adequate and in accordance with cultural and professional traditions. The policy has been discussed and developed at regional meetings within the member association since 1991 and was finally adopted in 1994, when a publication was produced to explain the code of professional standard and how to comply with the regulations. The publication is presented below. At the general meeting on 27 August, 1994, the Danish Association of Chartered Surveyors approved the introduction of CPD - Continuing Professional Development - as adopted by the executive committee on 24 June the same year. CPD came into force on 1 January, 1995. As from that date, an - at least moral - obligation rests with every Danish surveyor to fulfil 40 hours of CPD every year, this being the recommendation of the executive committee. With this the Association has set a standard. It is, however, up to individual members to meet the requirement in a manner suited to their own needs. And what then is CPD? qualifications for handling tasks and duties throughout the professional working life of the individual member". This is the wording of the CPD definition. In practice, CPD simply means continuing professional and personal development and training to maintain high professional competence. CPD is a process, in which each person currently updates and extends his/her specific professional knowledge and abilities, and consequently offers consultancy and services of the highest quality. With CPD the scene is laid for strategic considerations, both for the individual and for the single firm. Where do I/we want to go? What is the goal? How do I/we then get from the position of today to the goal of tomorrow? One of the aims of CPD is just that: you begin to view yourself and your firm in a lifelong development perspective. With that CPD becomes a decisive condition of success. It has been estimated that professional knowledge acquired through, for example, a higher education is in many cases only up-to-date for about four years. We also know that knowledge and professional competence is no longer given once and for all. It must be maintained and extended through a lifelong process of learning. CPD is a tool in that process. There is every indication that CPD activities will become an important condition of developing and maintaining a high level of service and in the work with the formulation of a business strategy. CPD will also increasingly become a standard for quality - for example, in connection with public invitations to tender - and a condition of being considered in connection with previous qualifications. For the surveyor employed in the public or private sectors, the CPD results will be an important asset in the development of his/her job profile. And it may be a decisive asset on employment in a new job and on promotion. 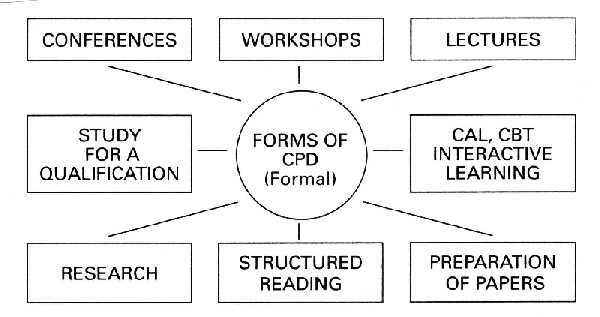 Fundamentally, CPD comprises all the activities leading to professional and personal development and which are not contained directly in the daily work. Structured reading to gain a deeper insight into a certain professional subject. Each time you carry through an activity, which updates, strengthens or extends your professional competence, you can enter details on the form. In this way you have a comprehensive view yourself. However, what is more important, is that you can demonstrate your updated professional competence to others. There was a time when we qualified for life, once and for all. That was in the time of the static society. Today we must qualify constantly just to keep up. Legislation is changed and adapted at shorter and shorter intervals. Technological development only seems to accelerate. The contents of the tasks change their character, and at the same time traditional processes become less important. Therefore, the customers are increasingly demanding documented professional competence. And therefore CPD - Continuing Professional Development - is an absolute necessity. There are, however, other reasons for its growing importance. The products and services offered by Chartered Surveyors are founded on personal knowledge. Success or failure is determined by the knowledge and experience of the individual. Therefore professional competence is decisive, both to the employee and to the self-employed. The knowledge and insight held by the surveyor must continuously be extended and developed. Flexibility, adaptability and renewal become vital if we are to compete effectively. CPD is a tool in this personal and professional development process. It is a development process that lasts the entire professional life. Competence to manage existing tasks on new terms and to undertake quite new tasks on a qualified basis is constantly raised. Knowledge, skills and personal qualifications are improved concurrently. It is a well-considered and systematic strategy for each individual person. One purpose of CPD is to view yourself and the firm in a lifelong development journey. With the CPD survey the individual member can prove his qualifications - his updated professional competence - in accordance with the professional and technological development and the requirements of society. And he/she can maintain the comprehensive view of his/her own development. CPD is about knowledge and quality, two fundamental elements of success. With the introduction of this concept, the Association has defined a framework, but the fulfilling of the framework is the responsibility of the individual. The CPD concept is an offer which, in the medium term, may provide great opportunities and advantages to both the individual, the firm/the authority and the entire profession of Chartered Surveyors. It is a process. In its present form, CPD is not a final concept. It will be adapted according to the experiences which we will gain. This folder introduces the concept and is the signal to initiate the process started to take effect as from 1 January, 1995. 1. The nearest manager is responsible for daily support, including necessary reactive tasks and local forward-planning measures. 2. The central personnel department is responsible for providing programs and activities corresponding to basic organizational demands. 3. The central personnel department is also, at the request of top management, responsible for planning the future needs of leadership development. In 1989 an agreement was established between the NLS and the employee organizations concerning personal development in the Land Survey of Sweden. One of the major issues was development conversations. In short, to do everything possible to achieve both good production results and high work satisfaction. Since 1990 development conversations have become compulsory in the Land Survey of Sweden. On regional/local courses the NLS trained all managers in the process of conducting such conversations. Every manager is expected to fit the needs of the individuals into a yearly local development plan, to secure the funding and to review the results. In a attitude survey throughout the whole Land Survey of Sweden we found out that 60 - 70% of the managers have regular appraisals. Unfortunately 50% of those answering the survey said that they were satisfied with the quality of their development conversation, causing our Director General to act in the top management group, demanding progress in both quantity and quality. In 1989 a leadership support program was worked out in order to provide the necessary skills for the 1990's. The program consisted of ideas about how to recruit managers, mentoring of staff, how to conduct yearly appraisal talks between managers, etc. One further area was leadership development. Planned leadership development is divided into three parts. 1. Searching for presumptive leaders in our organization and placing them in a preparatory program. 2. Introductory contributions during their first year in the new position for those who are newly appointed managers. 3. Leadership development programs for those who have been managers over a period exceeding one year. Suitability for management work is a result of a dialogue with and is approved by the nearest manager. When appointing somebody for a higher management position assessment is performed with support from the central personnel department. Preparatory programs for presumptive leaders are carried out at regional/local level with requested support from an internal organizational consultant from the central personnel department. The introductory program for newly appointed leaders is a central activity organized by the personnel department with support from top managers from various fields of activity. Part 4: personnel work for leaders. Top management also decided upon an immediate compulsory implementation of Part 1. Since the Land Survey of Sweden is subjected to a governmental investigation concerning future work and organization our top management decided that Part 3 should be implemented as well. Part 2 and Part 4 will be developed in due course. This is a five day residential course with evening sessions. The target group is managers who are committed to becoming more effective group leaders, regardless of management level. – increase your self-confidence as a manager and group leader. "Effective leadership means simultaneously managing both task-content and group process". There are always two things occurring simultaneously in a group: WHAT the group is doing and HOW they are doing it. Many management and leadership courses deal with either "what" or "how". Our basic assumption is that what a group does and how it does it are inseparable and should, therefore, be taught at the same time. In short we deal simultaneously with content and process skills. No two effective group leadership courses are ever identical. We constantly tailor every course to the needs of course participants and conscientiously avoid wasting time teaching skills that participants already possess. We have an external partner in this course, as well as in Part 3. Each course consists of 8 - 12 people plus two trainers, one from the Land Survey. It is a thorough course that demands the full participation and commitment of all who attend. Our experience from this course is extremely positive. Many managers start developing their own work-place after having attended the course, often using the internal consultants mentioned. Part 3 is not an actual course like Part 1. It consists of a workshop-oriented contribution in which two consultants - two internal or one external and one internal - work for three days together with an actual management group in order to help them find ways of "what" to do and "how" to do it in trying to deal with the rapidly changing environment. - improving their ability to handle people subjected to situations of stress and crisis. Quite recently a competence development strategy was adopted, stating that competence development is clearly organization-oriented. Activity needs as well as the needs of the individual form the basis for this planning. Long range goals are formulated by top management. Through a constant dialogue each specialist branch is expected to take responsibility for a good balance between what it offers as "producer" and the demands of the "consumers". In the USA continuing education takes on two different characteristics, that of mandatory and that of voluntary. Voluntary continuing education has existed for as long as the professional societies for surveying and mapping have existed - ASPRS since 1935 and ACSM since 1941. Mandatory continuing education is a much more recent phenomenon. Mandatory continuing education is rapidly becoming legislated for those professions that are regulated by registration requirements in the USA. First one must consider what is covered by a surveyor’s professional registration. All professional registration is by the individual states and therefore many variations occur within the whole of the USA. Not each state legislation law covers the exact same definition of what actions are regulated. All of the states include land boundary determination within their definition of a registered surveyor’s realm. Other areas of practice that are regulated in some jurisdictions include photogrammetry, precise positioning on the various state grids, site layout, and hydraulics. Various components of surface and subsurface drainage design are also sometimes included. This variation in definition results in a situation where one must be separately registered in each state in which one wishes to practise. There is a small amount of reciprocity between the states, but it is very limited. This registration requirement dates from about 1950 as the states began to separate surveying from their definition of civil engineering. A common theme that exists among all of the various state registration laws is "to protect the public". There has been a movement to legislate certain amounts of mandatory continuing education by some of the states as a requirement for continuation of registration during the past fifteen years. It has been the individual state surveying societies that have ignited this movement. I believe that Iowa was the first state to enact continuing education requirements. The time frame for that was somewhere about 1975. The latest American Congress on Surveying and Mapping (ACSM) summary sheet that is available is dated in December 1988. It lists eight states with formal legislated requirements at the time. I believe that a 1993 summary would list approximately one half of the fifty states as having legislated mandatory continuing education either in effect now or effective for a future date. The National Society of Professional Surveyors (NSPS) is a member organization of ACSM. It adopted a model law for the individual state surveying societies’ guidance in formulating its own legislative proposals in 1990. This model law was developed from the existing laws of the various states that were in effect at the time of the last ACSM summary listing of 1988. "The Council on the Continuing Education Unit is a non-profit federation of educational and training organizations devoted to the constructive and consistent use of the Continuing Education Unit and to improvement of the quality and effectiveness of continuing education training and development". The Council has defined the Continuing Education Unit (CEU) as ten hours of "participation in an organized continuing education experience under responsible sponsorship, capable direction and qualified instruction". Most USA universities maintain membership in this Council. The aforementioned NSPS model law defines a Professional Development Hour (PDH) as equal to 0.1 CEU or one hour of contact including 10 minutes for break time. Some states are very strict about credit for PDH’s being limited to formal classroo type instruction while others allow PDH credit for such activities as membership in professional surveying societies, attendance at conferences, presentation of papers and serving in society offices or on committees. Some even allow credit for at stated minimum numbers of hours of professional practice during the preceding year. The classroom type continuing education instruction is being conducted in several different ways. Each state society schedules at least one conference per year where formal classes are held. Typically, a practitioner would have to attend more than one such conference per year in order to satisfy the mandatory requirements. The ACSM has two conferences each year that have at least 24 contact hours of continuing education available during their meeting week. Several private enterprises have come into existence in the USA whose only purpose is to contract to provide continuing education classes for various seminars around the country. In addition, most university professors in the surveying field are requested to donate their time to provide training classes at the various state society conferences on occasions. The problem of verifying attendance at these educational sessions is handled differently by the various state boards of registration. Some rely upon signed word of the attendees while others require elaborate forms of proof of attendance. In some states the professional societies maintain records of attendance, while in others the boards of registration send official observers to keep tally. The ACSN had a program of recording the members’ attendance at continuing education activities but that has not been continued in the recent past. As more and more states enact legislation mandating continuing education and as most practitioners are registered in several states, it seems that a more effective means of verification and recording keeping will become essential. In the future most if not all states in the USA will require continuing education as a condition for continuance of registration in order to operate in private practice. At the present time, this is mostly limited to those areas associated with boundary determination, but it will probably be extended to other areas of professional practice. Mandatory continuing education for professional surveyors is here to stay in the USA. By Selby Munsie, Honorary Secretary of the Institution of Surveyors, Australia. It is the aim of this paper to examine the various proposals suggested by the Divisions of the Institution with respect to the Council guidelines for CPD and to present a document for the consideration of the membership. The principal questions are focussed on the flexibility of models in continuing professional development and possible alternatives to satisfy personal, professional and community requirements. Is there a another solution? The introduction of mandatory CPD to the Institution is proposed from January 1, 1994. The resolution of the Council of the Institution states: "broad guidelines be developed for the implementation of compulsory continuing professional development to commence in 1994 for continuing membership of the Institution". The preservation and enhancement of high standards of professional performance by its members throughout their careers. The ensuring of currency in surveying knowledge by its members. The increase in individual surveying capability as a contribution to national development. The provision of a formal structure in support of continuing professional development activity by its members. The undertaking of an adequate level of continuing professional development by its members. The formal recognition of members’ achievements in continuing professional development. The availability of appropriate continuing professional development opportunities for its members. The support of relevant continuing professional development activities by the employers of professional surveyors as part of the employees normal duties. "A member shall endeavour to advance the science and practice of surveying and the objects of the Institution and shall continue his professional development throughout his career and encourage the development of his subordinates." Professional development is defined as the process by which professional surveyors maintain the quality and relevance of professional service throughout their careers. It has two components - professional experience and continuing education. This definition, together with the intent of Item 5 of the Code of Ethics, requires that members of the Institution undertake a compulsory program of continuing professional development comprising the two elements of professional experience and continuing education. Professional experience is the practical experience gained throughout a person’s career and varies according to the nature and scope of an individual’s employment. Continuing education is the study undertaken by professionals to extend or update their knowledge, or to prepare them to meet advances or changes of direction in their careers. is the study undertaken by professionals to extend or update their knowledge, or to prepare them to meet advances or changes of direction in their careers. The stating of these objectives gives a broad base for the states to build upon in implementing items 4, 5, 6 and 7. Individual members of the Institution should then respond as to whether these models have sufficient flexibility to meet their personal and/or professional requirements. The continuity of membership of the Institution will be subjected to a successful implementation and completion of specific aspects of CPD. The accounting profession has implemented the CPD program effectively. Many other professions have either built in mechanisms or formal CPD programs. It is hoped that the profession of surveying as part of a broader area of land information science will not only receive wider recognition by the community at large, but also adopt CPD as an essential ingredient to meet changing requirements. Enemark, S (ed.) 1993.Facing the Educational Challenges of the Future. Proceedings FIG Commission 2 Workshop, Aalborg, Denmark, 243 pp. Kennie, TJM. 1992. Continuing Professional Development and FIG Current Practice and Future Development. Proceedings 59th FIG PC Meeting, Madrid, Spain, 15 pp. Continuing Professional Development and FIG Current Practice and Future Development. Proceedings 59th FIG PC Meeting, Madrid, Spain, 15 pp. Kennie, TJM. 1993. Management Does Matter: Some Key Themes for the 1990's. Proceedings of Survey and Mapping ‘93, 12 pp. Kennie, TJM. and Gardiner PF, 1988. Leadership Training for Chartered Surveyors in the United Kingdom - A Programme of Continuing Education. Proceedings FIG Commission 2 Symposium ‘ University Education for Surveyors’, Madrid, Spain, 15 pp. Munsie, S., 1994. Continuing Professional Development - A Unified Approach. The Australian Surveyor, Educational Supplement 1994, 10 pp. Continuing Professional Development - A Unified Approach. The Australian Surveyor, Educational Supplement 1994, 10 pp. Royal Institution of Chartered Surveyors (RICS). 1993. CPD- Review of Policy and Future Strategy, 19pp. (also various documents to support CPD in practice, eg CPD Starter Pack and Personal Development Planner (PDP)).. 1993. CPD- Review of Policy and Future Strategy, 19pp. (also various documents to support CPD in practice, eg CPD Starter Pack and Personal Development Planner (PDP)). Welsh L. and Woodward P., 1989. Continuing Professional Development: Towards a National Strategy. Dept. of Education and Science PICKUP Report, Planning Exchange, 51 pp.. Continuing Professional Development: Towards a National Strategy. Dept. of Education and Science PICKUP Report, Planning Exchange, 51 pp. Willie E. 1991. People Development and Improved Business Performance. Ashridge Management Research Grou,. HMSO, 89 pp. People Development and Improved Business Performance. Ashridge Management Research Grou,. HMSO, 89 pp. Published by The International Federation of Surveyors (FIG), FIG Bureau 1996–1999. ISSN: 1018-6530, ISBN: 0-85406-788-4, September 1996, London, UK.